Want your kids to polish their plates? 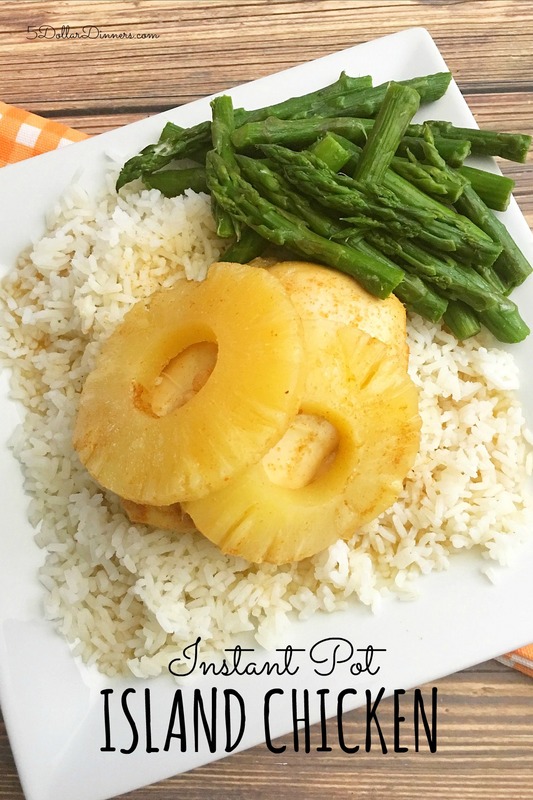 The fabulous citrus flavors both soften and flavor-ize the chicken and the pineapple adds just the right amount of sweetness! We have chicken and rice night about once a week, with different variations of chicken and rice. This meal is just perfect! Place the chicken breasts into the base of Instant Pot or electric pressure cooker and season with salt and pepper. In a large mixing bowl, whisk together the orange juice, lime juice, brown sugar, ground cumin, and paprika. 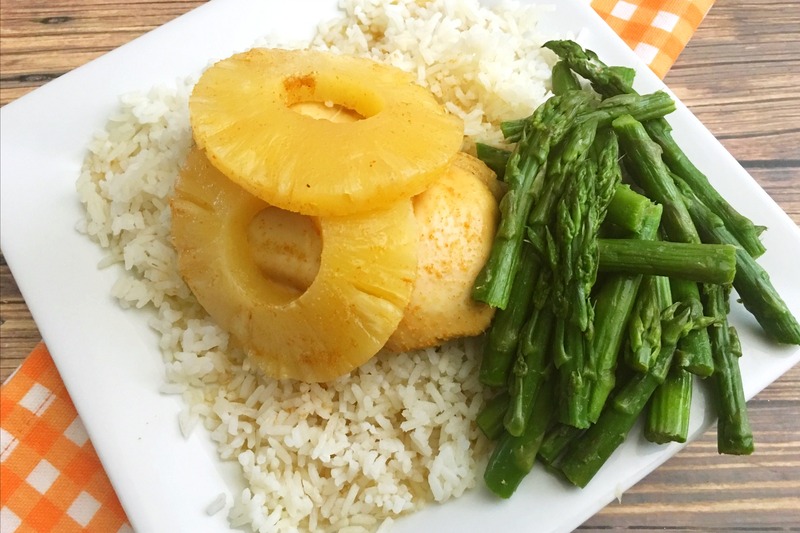 Pour the marinade over the chicken, then add the pineapple slices around and on top of the chicken and marinade. If needed, add chicken stock or water so total liquid is at least 1 cup. Serve Instant Pot Island Chicken over rice with veggies.